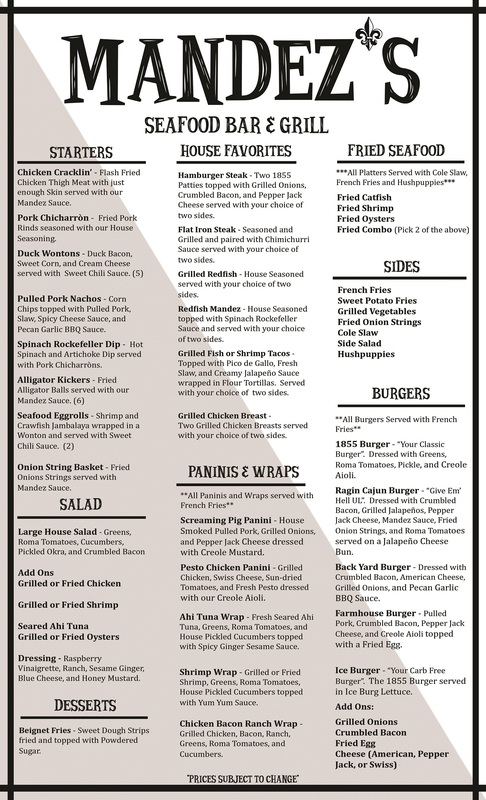 Monday - Thursday 10:30 a.m. - 9:00 p.m.; Friday - Saturday 10:30 a.m. - 10 p.m.
Lafayette’s favorite place to enjoy great food at a reasonable price with a relaxed atmosphere! A hometown restaurant where you can watch sports and grab some delicious food along with a frozen daiquiri or a cold beer! Hours of Operation: Monday - Thursday 10:30 a.m. - 9:00 p.m.; Friday - Saturday 10:30 a.m. - 10 p.m.